Walk around 301 Garden this Sunday and you’ll likely see some new faces — Wonder Woman, storm troopers, Moana. They’ll carry clinking lightsabers and twinkling tiaras. And while these little ones have waited weeks for Grace Kids’ Costume Party, their teachers are just as excited. They, too, have spent weeks thinking about their costume. Take the 3- and 4-year-old classroom teachers, for example. This year, they thought it’d be fun if they all dressed as sheep. So several weeks ago, they got together at one teacher’s apartment for some crafting and brunch. 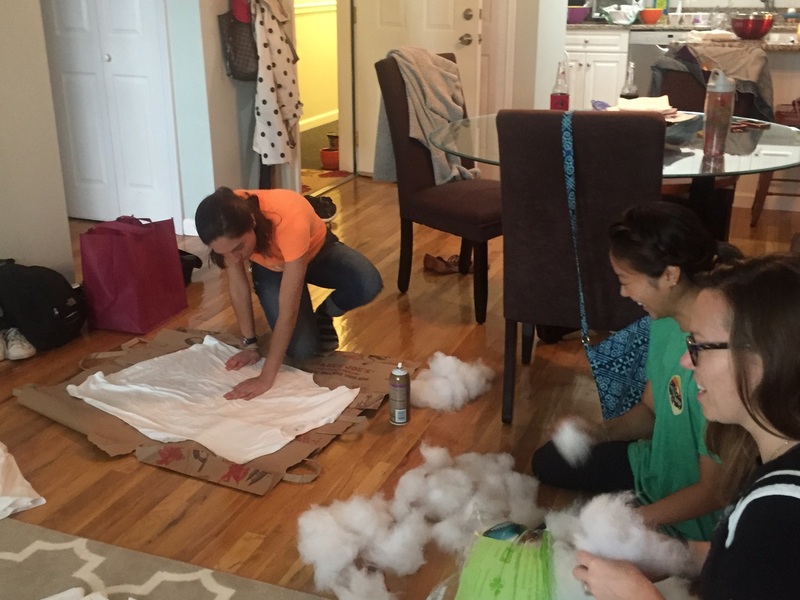 Sitting across the living room floor, they planned out what the costumes would look like, snipping white T-shirts, spraying on adhesive and attaching clumps of cotton stuffing. “We had a lot of fun being silly and throwing around the fluff material we used,” said Breann. The Grace Kids Costume Party is a tradition that dates to around 2010. But more recent is the tradition of Grace Kids teachers making their costumes. On the one hand, it’s an opportunity for the teachers to get together outside the classroom. But it’s also an opportunity to make the kids laugh and, in some cases, feel less shy – especially if the teachers dress as something they can relate to. 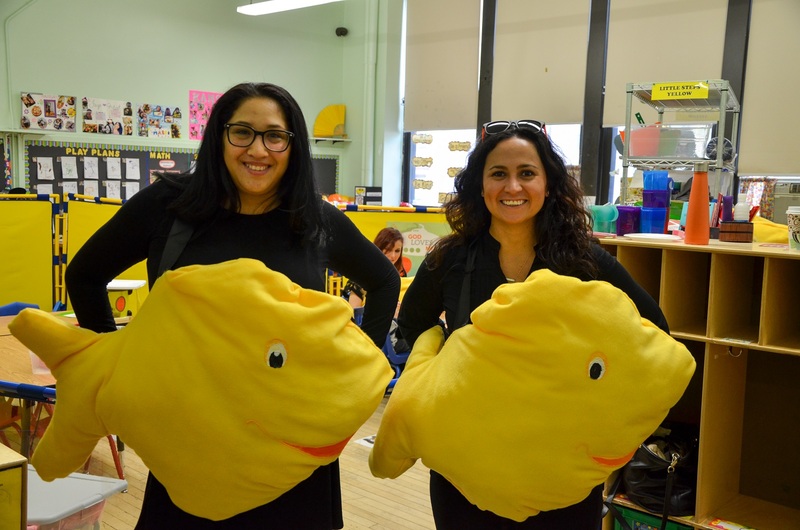 In the past, some teachers have taken that to heart, dressing up as familiar items such as Play-Doh and Goldfish crackers. As for the teachers in the 3- and 4-year-old classrooms, they can’t wait to see what the kids think of their sheep costumes. And of course, the teachers can’t wait to see the kids’ costumes as well. “They get so excited to dress up and tell us who they are,” said Breann. The Grace Kids Costume Party will take place during first and second service on Sunday, Oct. 29. All kids are invited to come in costume! Are you interested in checking out Grace Kids? Sign up for a tour here.